Below is the interface of Kyber Network. The user chooses a token he/she wants to trade, key in the amount and pops out the exchange’s quotation. For instance, as per image below you can see that 1 BAT equals 0.001492 ETH. Same as Bancor, the quotation on Kyber Network worsens as user inserts bigger amount of tokens/coins due to the identical principle. Unlike Bancor, whose default setting hides the price difference, Kyber Network shows the possibility of 3% price difference on the right side of the exchange. 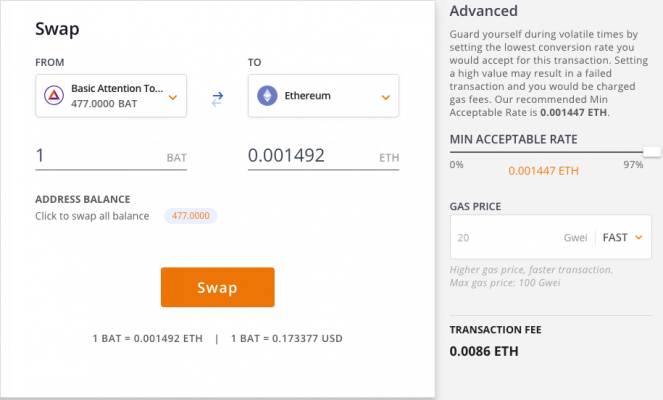 Both of them allow users to adjust the acceptable margin of the price difference. After running a test, I sold 477 BAT for 0.00149175 ETH, with the initial quotation of 0.001492 ETH. When transaction volume was small, the final price was close to the original quotation. The gas gee for trading with Kyber Network is high. 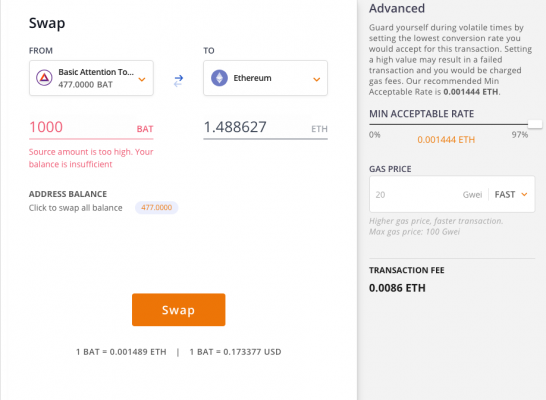 Take the test as an example, the transaction overall consumed 200,000+ gas (unit), at 11 GWEI gas price, I spent 0.0022 ETH merely for gas fee. However, Kyber Network uses less gas fee compared to Bancor. 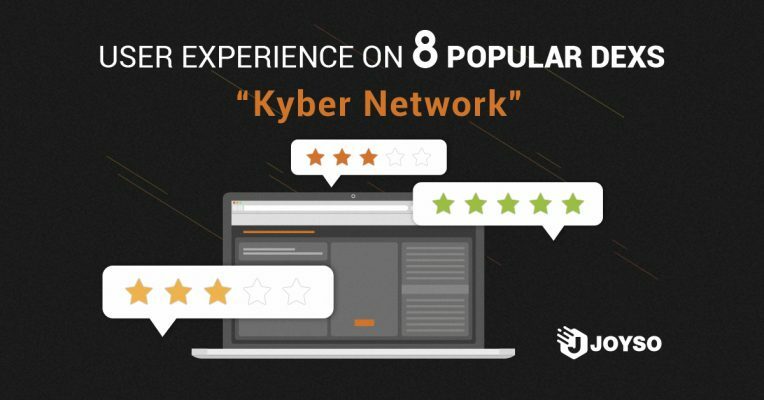 Kyber Network is suitable for small amount transactions, but it may not be as cost-efficient due to the high gas fee. Just like Bancor, you can trade any trading pairs on Kyber Network.